Dubstar was formed by CLIENT Sarah Blackwood, Steve Hillier and Chris Wilkie in Newcastle-upon-Tyne, 1992 after being discovered by a fellow North East UK-based manager and producer, Graeme Robinson. Robinson renamed the band, which had previously gone by the name 'The Joans'. 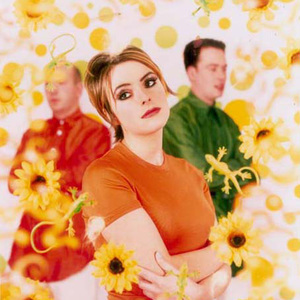 After Robinson produced the material for the band's first album and had brought the tapes to the attention of Food Records' Andy Ross, the band were signed to the EMI off-shoot in November 1994. They released three albums: Disgraceful, Goodbye, Make It Better before disbanding in 2000. After Robinson produced the material for the band's first album and had brought the tapes to the attention of Food Records' Andy Ross, the band were signed to the EMI off-shoot in November 1994. They released three albums: Disgraceful, Goodbye, Make It Better before disbanding in 2000. A compilation, Stars (The Best Of Dubstar) was released after the split. In 2002, Sarah Blackwood formed the group Client with Katie Holmes, however in 2006 the trio reformed and started to record new material with producer, Stephen Hague, for a 4th album. However, in September 2008, the reunion was put on hold. In 2010 the band was back again. They released a cover version of "I'm in Love with a German Film Star" for an Amnesty International project. Blackwood confirmed that the band were back together and would be going into studio to record tracks for a new Dubstar album, although she would continue to also record with Client. In December 2011 it was announced that Blackwood had left Client. If it was to concentrate solely on Dubstar or not remains to be seen.